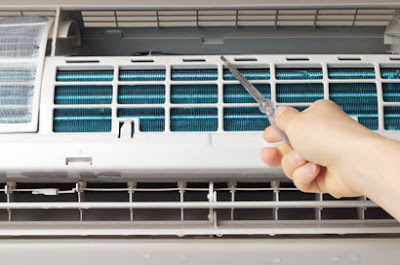 Aircon Servicing | Aircon Services in Singapore: How Much Does Aircon Chemical Cleaning Cost? As a Singaporean a question that may be disturbing you concerning the cleaning services may be this one`How Much Does Aircon Chemical Cleaning Cost in Singapore? 'Do not worry the company has well published prices for its services. For any reputable company giving out clear explanation on cost of the services that it offers to customers is the first priority as a step to good customers care services. The prices on specific services offered you can readily get them on the website of the company or by visiting the company outlets directly in Singapore. The following is a breakdown of the cost of services offered by Arcon Cleaning Company services in Singapore. These services are widely offered by the company at different costs depending on the units to be worked on .In case you will like to have servicing of 1 fan coil for your house air purification purposes you will be required to part with $40 for the service to be accurately done for you. For a range of 2-4 units of fan coils you will have them sold to you at $35 each. In case you require more than 5 fans for servicing your condenser you will need to spend a total of $30 on each fan. It is evident that when buying in bulk you will have enjoyed a great deal of discount. By buying more than five you will end up saving up to $10 on each fan. After purchasing a commodity especially the one you are going to use on electric power you will require a warranty. The company selling these fans has taken that into consideration and you will receive a 30 day warranty on workmanship while in Singapore. For this you will also be charged according to the number of units that you buy. You will have to spend a total of $80 on each fan coil. This one has a constant price on each; there is no economy in buying in bulk. In addition to the price you will be able to enjoy free workmanship warranty for a period of 60 days. For any cleaning machine you have in your Singaporean home you will like it to be in a good condition for it to offer you good service .The company has taken this into consideration and has set standard charges for that .The fee is $50 for trouble shooting and it is majorly due to transportation and inspection of the Aircon units, this fee will be waived from the invoice once done. This is for your convenience as a customer because sometimes a cleaning machine can fail and end up stressing you a lot, to avoid much disturbance it is advisable to contact the experts who will do the work without wasting much time as they have great experience in the field.